The underside of a mushroom is an important feature used for identifcation. 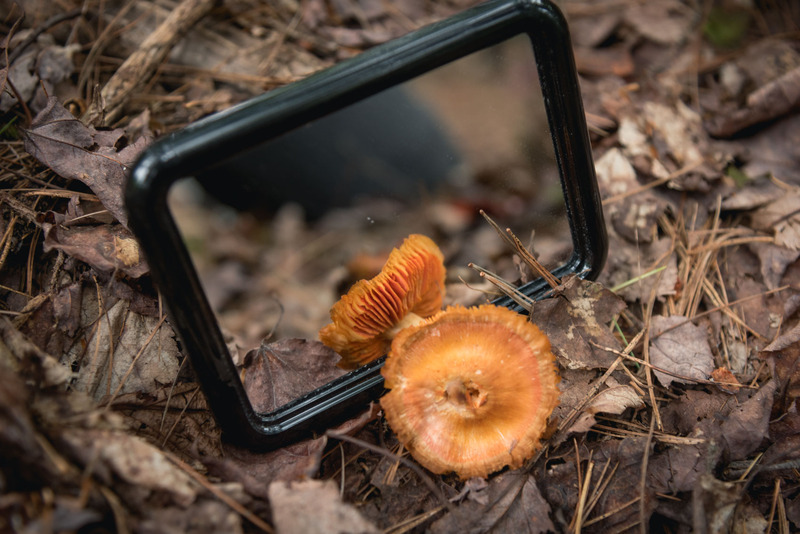 A small mirror is often used to the underside. Blue Mountain-Birch Cove Lakes Wilderness Area, Canada BioBlitz 2017.